Our roots in Africa stretch deep and spread wide - we've travelled its many landscapes and learned some of its best secrets. We look forward to sharing them with you. 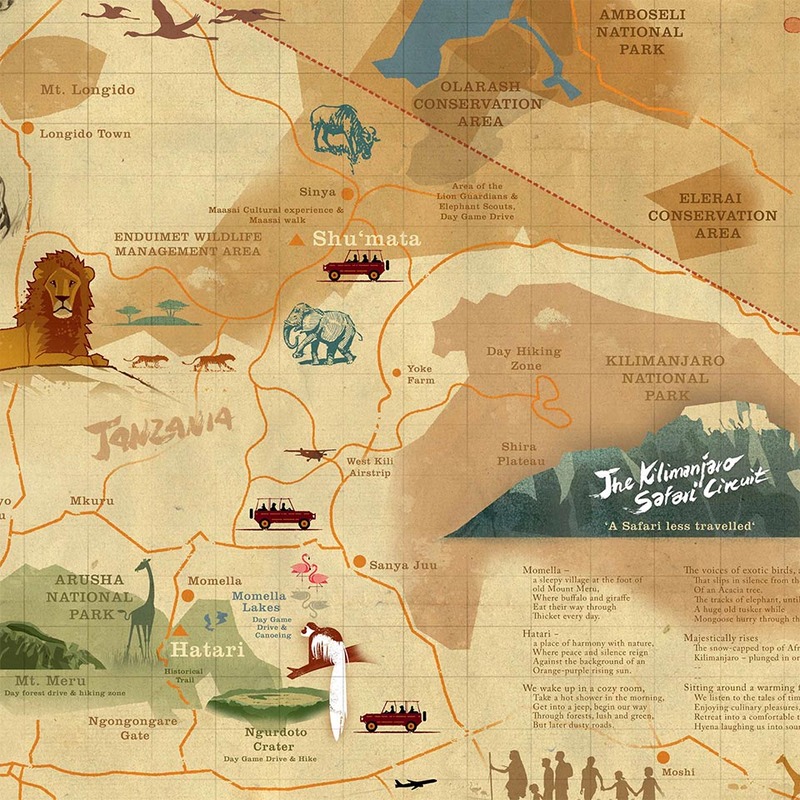 Two of the natural world's most famous sisters, Mount Kilimanjaro and Mount Meru, are separated by only 348 kilometers, and can be enjoyed slope-to-slope with an hour and a half drive. Each mountain possesses its own unique views and distinct features, with a wide array of ecosystems and wildlife in the space between. 1 Momella Lakes - half-day tour of Arusha National Parks's seven volcanic lake and their resident flamboyance of pink flamingos (canoeing available). 2 Meru Crater - full-day trek through savannah, forest and dense jungle up to Kitoto Viewpoint (2500m) and back down to the Tululusia Waterfall. 3 Tululusia Waterfall - half-day walking safari through the rain forest home of the Colubus monkeys to the picturesque cascade and picnic destination. 4 Ngurdoto Crater - full-day descent down the crater through the jungle floor into meadows, lakes and scattered islands filled with wildlife. 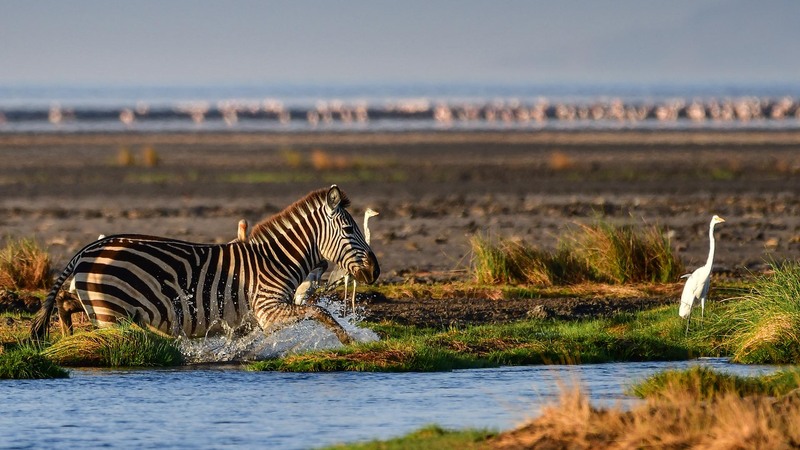 5 Arusha National Park - full-day game drive through Meru rock formations and Ngurdoto Crater to Ngongongare Springs and Mgoda Pass. 6 Maasai in Nature - half-day walk with a knowledgeable Maasai guide through the arid Sinya Steppe to learn centuries-old survival methods. 7 Amboseli - half- or full-day game drive through acacia forests and seasonal swamps to the elephant retreats on the lower slopes of Kilimanjaro. 8 Maasai Boma - half-day visit to a traditional homestead of the semi-nomadic people to learn about traditional hut building and cattle herding. 9 Night Game Drive - evening drive through the nearby plains in search of nocturnal animals and other surprises hidden by day.